Fourviere Hotel, nestled within the former Visitandines Convent in Lyon, is scheduled to open in June next year. The four-star property, located a few steps from the Fourviere Basilica, will feature a reception area built in a chapeol. The property will offer 78 rooms, suites and apartments spread over three levels alongside a fitness area on the second floor. 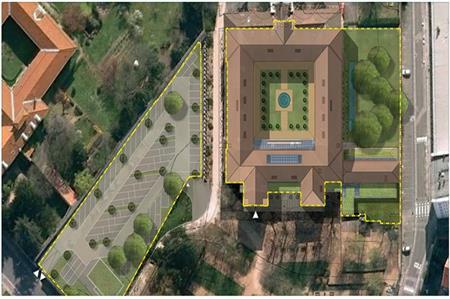 Parts of the cloister will be available for meetings or banquets and two meeting rooms located on the first floor will overlook the gardens of the convent.